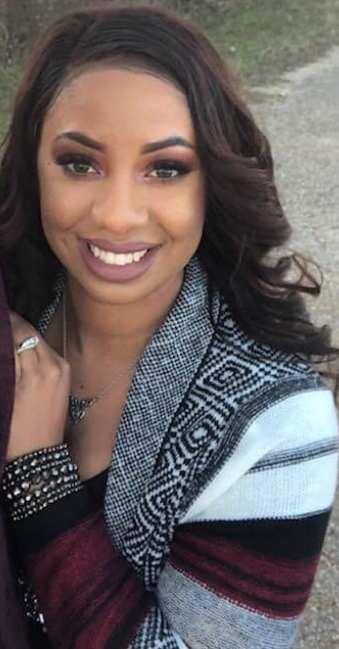 Erica Cobb Atkinson, age 35, formerly of Fayetteville, NC died Friday, March 29, 2019 in Killeen, Texas, she was stationed at Fort Hood Army Military Base. She is survived by her husband, Michael; five children, daughters, Ashlynn, Alina, Aubree and Alyssa and son Aiden; Mother,Tereascia Maynor; two sisters WyKeisha Gray, and Jhodeci Redmon and one brother Derrick Cobb. The viewing is to be held Sunday, 7 April 2019 from 3:00 to 6:00 pm at LaFayette Funeral Home, 6651 Raeford Rd. Fayetteville NC 28304. Funeral Services will be held 11:00 AM Monday, 8 April 2019 at New Life Bible Church, 1420 Hoke Loop Rd. Fayetteville, NC 28314.